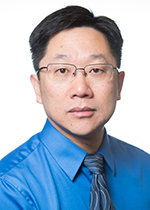 Dr. Wei Wang is a senior scientist at Pacific Northwest National Laboratory (PNNL). He is currently the thrust lead on stationary energy storage R&D with a diverse portfolio including redox flow, lithium-ion, and sodium-ion batteries, as well as hydrogen production technologies. His research spans from materials synthesis, electrochemistry, catalysis to photovoltaics with main focus on energy conversion and storage technologies. He is interested in the investigation of the synthesis-structure-performance relationship in energy-related materials, and the understanding of the underlying material chemistry and physic principles, particularly the development of new materials and novel energy technologies. His work has been widely covered by the media, e.g., Science, Nature, R&D magazine, Scientific American, Materials Views, etc. Dr. Wang joined PNNL in 2009 after received his Ph.D in materials science and engineering from Carnegie Mellon University. He was honored as one of the two recipients at PNNL with Ronald L. Brodzinski Award for Early Career Exceptional Achievement in 2012 for his accomplishments in state-of-the-art stationary energy storage technologies. He was also recognized by the R&D Magazine with the R&D 100 Award in 2012 for his contribution on graphene enhances lithium-ion batteries. In 2013, he was awarded FLC Award for Excellence in Technology Transfer by the Federal Laboratory Consortium for the advanced vanadium redox flow battery technology. He was one of 41 awardees in the US Department of Energy’s ARPA-E OPEN 2015 (the 3rd open call for proposals) for his HyFe dual mode redox flow cell concept. His 60+ published articles on electrochemical devices, nanostructured materials, and membranes have been widely cited in the scientific community (h-index = 25, total citation = 2500+, 6 papers > 200 citations, 3 book chapters). He has been an inventor on 9 issued and 15+ pending patents. Technologies developed in his lab have been licensed to several companies including UniEnergy Technologies, Imergy Power Systems, WattJoule Corporation, and Vorbeck Materials. Component research and system integration of redox flow battery technology both aqueous and nonaqueous systems. Journal reviewer: Nature Communications, Journal of the American Chemical Society, Nano Letters, Advanced Materials, Advanced Functional Materials, Energy & Environmental Science, Chemical Communications, Chemistry of Materials, Journal of Materials Chemistry, Electrochimica Acta, Journal of the Electrochemical Society, Journal of Power Sources, etc. U.S. Patent No. 9,960,443, May 1, 2018, "Redox Flow Batteries Having Multiple Electroactive Elements". U.S. Patent No. 9,819,039, November 14, 2017, "REDOX FLOW BATTERIES BASED ON SUPPORTING SOLUTIONS CONTAINING CHLORIDE". U.S. Patent No. 9,793,566, October 17, 2017, "AQUEOUS ELECTROLYTES FOR REDOX FLOW BATTERY SYSTEMS". U.S. Patent No. 9,748,595, August 29, 2017, "High-Energy-Density, Aqueous, Metal-Polyiodide Redox Flow Batteries ". U.S. Patent No. 9,406,960, August 2, 2016, "Energy Storage Systems Having an Electrode Comprising LixSy ". U.S. Patent No. 9,236,620, January 12, 2016, "Composite Separators and Redox Flow Batteries Based on Porous Separators". U.S. Patent No. 9,214,695 , December 15, 2015, "Hybrid Anode for Redox Flow Batteries". U.S. Patent No. 9,130,218, September 8, 2015, "Hybrid Energy Storage System Utilizing Redox Active Organic Compounds ". U.S. Patent No. 9,123,931 , September 1, 2015, "Redox Flow Batteries Based on Supporting Solutions Containing Chloride". U.S. Patent No. 9,077,011, July 7, 2015, " REDOX FLOW BATTERIES BASED ON SUPPORTING SOLUTIONS CONTAINING CHLORIDE ". U.S. Patent No. 9,023,529, May 5, 2015, "Nanomaterials for Sodium-Ion Batteries". U.S. Patent No. 8,771,856, July 8, 2014, "Fe-V Redox Flow Batteries". U.S. Patent No. 8,628,880, January 14, 2014, "REDOX FLOW BATTERIES BASED ON SUPPORTING SOLUTIONS CONTAINING CHLORIDE". Wang W., X. Wei, D. Choi, X. Lu, G. Yang, and C. Sun. 2014. "Electrochemical cells for medium- and large-scale energy storage." In Advances in Batteries for Medium and Large-Scale Energy Storage, edited by C Menictas, M Skyllas-Kazacos and LT Mariana. 3-28. Waltham, Massachusetts:Woodhead Publishing. PNNL-SA-100840. Wei X., Z. Nie, Q. Luo, B. Li, V.L. Sprenkle, and W. Wang. 2013. "Polyvinyl Chloride/Silica Nanoporous Composite Separator for All-Vanadium Redox Flow Battery Applications." Journal of the Electrochemical Society 160, no. 8:A1215 - A1218. PNNL-SA-92548. Li L., S. Kim, G. Xia, W. Wang, and Z. Yang. 2012. Advanced Redox Flow Batteries for Stationary Electrical Energy Storage. PNNL-21174. Richland, WA: Pacific Northwest National Laboratory. Zhang J., W. Wang, J. Xiao, W. Xu, G.L. Graff, Z. Yang, and D. Choi, et al. 2012. "Silicon Based Anodes for Li-Ion Batteries." In Encyclopedia of Sustainability Science and Technology. New York, New York:Springer. PNNL-SA-75702. Choi D., W. Wang, and Z. Yang. 2011. "Material Challenges and Perspectives." In Lithium Ion Batteries: Advanced Materials and Technologies, edited by X Yuan, et al. 1-50. Boca Raton, Florida:CRC Press. PNNL-SA-76721. Li L., S. Kim, W. Wang, M. Vijayakumar, Z. Nie, B. Chen, and J. Zhang, et al. 2011. "A Stable Vanadium Redox-Flow Battery with High Energy Density for Large-scale Energy Storage." Advanced Energy Materials 1, no. 3:394-400. PNNL-SA-75871. Xu T., W. Wang, M. Gordin, D. Wang, and D. Choi. 2010. "Lithium-ion Batteries for Stationary Energy Storage." JOM. The Journal of the Minerals, Metals and Materials Society 62, no. 9:24-30. PNNL-SA-74003.